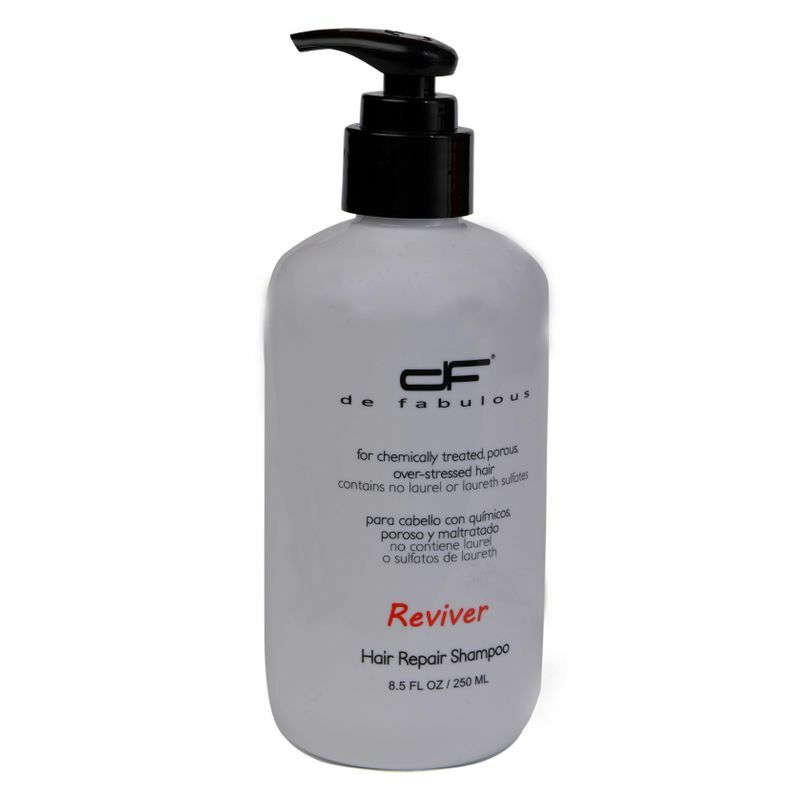 Enriched with Vitamin E rejuvenating beads, Reviver reconstructs and strengthens extremely damaged and fragile hair. Formulated with olive fruit extract, meadow foam seed extract, sweet almond extract and wheat-amino acid proteins, deep intensive moisture is restored without weighting down hair. Reviver Hair Repair Collection: Every day thrist-quenching hair repair therapy. Reviver's rejuvenating formula works with our unique wheat-amino acid protein complex, soy and oat proteins to revitalize and restructure even the most fragile, chemically treated hair. Smoothing Bar Cocktails: Protein Shot: A shot of Booster Reviving Treatment added to the Reviver Hair Repair Treatment is the perfect protein replenishment and service upsell. Explore the entire range of Shampoo available on Nykaa. Shop more De Fabulous products here.You can browse through the complete world of De Fabulous Shampoo .